Know your Swamy: Swamy angers Kalam! Former President Abdul Kalam is upset over the manner in which Subramanian Swamy attacked him. 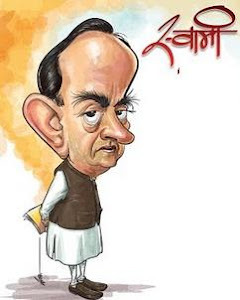 Swamy said that Kalam was speaking half truth when he said in his book that some people had approached him and asked him not to make Sonia Gandhi the Prime Minister. Kalam's office has been clarifying that it was Swamy who came to him with the Italian Constitution and said that Sonia Gandhi was an Italian and in Italy naturalized citizens could not occupy top positions. Kalam replied that India was not Italy and the Indian Constitution did not make any such distinctions.